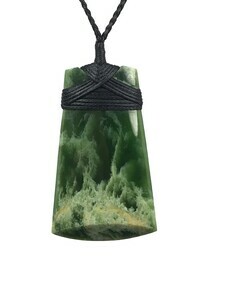 Specialist pounamu (jade) carver, Niki Nepia, is famed for both his traditional art forms and contemporary work. 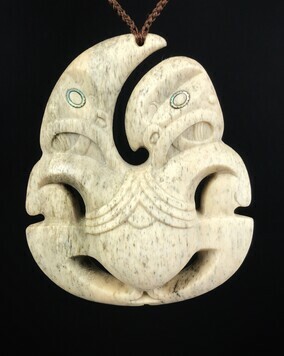 The highly skilled artist, fluent in traditional Maori style, has studied, worked and exhibited in China under various master carvers and is accomplished in different Chinese art forms. Constantly pushing his creativity and technical ability, Niki produces work that is innovative, unique and impressively complex. His designs are influenced by the natural surroundings of the Urewera Ranges, in the heart of the North Island, where he grew up. From a young age Niki incorporated aspects of nature and free-form design in his work, which remains true to the spiritual side of his culture and its art forms. He can be seen at work in his Puawai Jade studio and showroom in Eat Streat, Rotorua. The gallery offers a range of high-end gold and silver jewellery and adornment, carvings and sculpture produced by Niki and other highly experienced New Zealand artists. New designs feature each month and orders are taken for custom-designed product. Dedicated to quality, Puawai Jade is locally owned and takes its name from a deeply significant family name, Puawai, which means “blossom”. Puawai Jade has a wide range of beautiful jewellery. The pieces are all carved from New Zealand Pounamu (Greenstone), and thoughtfully set in both 9ct and 18ct White and Yellow Gold, as well as 925 Sterling Silver. Our range of exquisite sculptures at Puawai Jade are all fine examples of high craftsmenship. Every sculpture a one off piece, carved from the finest New Zealand Pounamu (Greenstone). Our range of contemporary jewellery combines traditional Maori art forms and modern design, creating unique one off pieces. All handcrafted in New Zealand with New Zealand Pounamu (Jade). 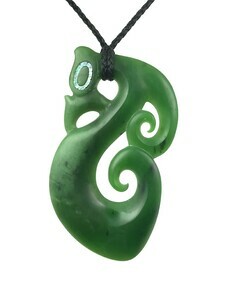 Puawai Jade has a wide selection of traditional maori adornment, carvings and sculptures. Each symbol with a beautiful meaning, and all handcrafted in New Zealand by both our carvers at Puawai Jade and other highly skilled artists.